Please use caution riding or hiking Sullivan Canyon through the end of May. Since 1960, Southern California Gas Company (“SoCaIGas”) has owned much of the land that comprises Sullivan Canyon (more than 4 miles in length). It’s a popular area for mountain bikers, runners and hikers, and we all appreciate being able to use the area for recreation. 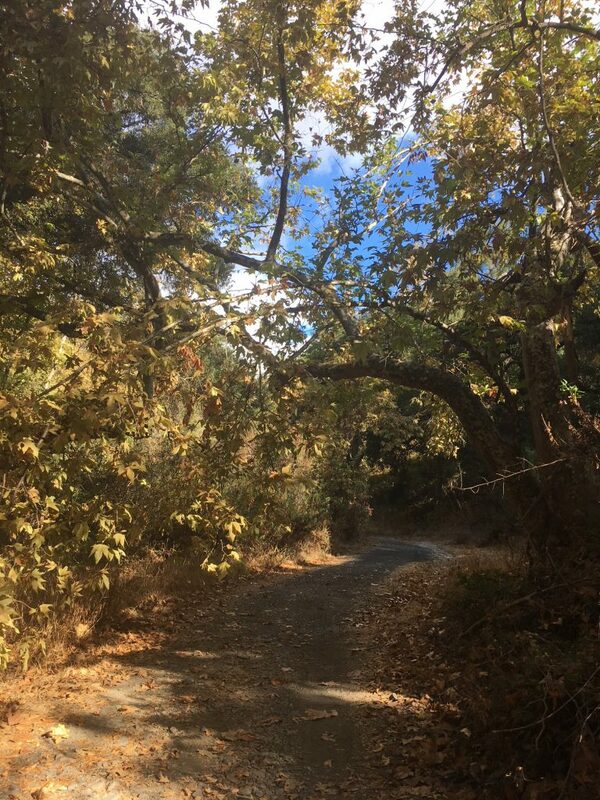 SoCalGas is planning to conduct yearly maintenance activities trimming overgrown vegetation in Sullivan Canyon, starting next Wednesday, May 23rd. The work should not take longer than 8 days. Work hours are 7 AM to 2 PM. There will be Bio-monitors on site with the workers. A “Bird Survey” assessment will be performed prior to starting the work. SoCalGas has a current programmatic permit in place to cover this environmental work. All trails will remain open to pedestrians and bikers, but please use caution. Watch for changed conditions, workers and equipment. They will have 2 people dedicated to trail user safety. They are there to help keep the area open for the week the work is conducted, so please follow their direction. Fellow Trail Users, mountain bicyclists who are out for exercise and to enjoy nature are riding at night in greater numbers than ever before, likely due to improved lighting technology. The newer LED lighting systems are brighter and run longer than the previous generations of bicycle lights. But do you ever think of their impact on other trail users or wildlife? I frequently hike at night and become momentarily blinded by the LED lights from oncoming mountain bicyclists. Often times it is group of night riders who also leave me seeing spots for 15-30 minutes after they passed me. I’ve noticed that most of the time it is two lights per bicycle, one on the helmet and one on the handlebars, so 5 bikes equals 10 extremely bright lights blinding me. I’ve politely requested the approaching bicyclists “dim” their lights but have been ignored or told the lights will not dim. We all know that cars should dim their brights when approaching other cars to keep the driver from being blinded. Shouldn’t bicycle lights also be dimmed when approaching other trail users for the same reason? If the lights cannot be dimmed, what is wrong with turning off the lights and riding or walking past other trail users and turning your lights back on after you are past us? Technology always outpaces the law but courtesy never goes out of style. Please consider the impact of your lighting systems on us hikers who enjoy a walk in the park in the dark. By Carol Henning, Co-Chair, Southern Sierran Editorial Board. The following article appears in the June 2009 edition of the Southern Sierran, Vol 65 No6. You’re hiking down a steep trail, enjoying the view, trying to remember the name of a trailside wildflower when, whoosh! Inches from your left arm a mountain bike comes careening down the trail. 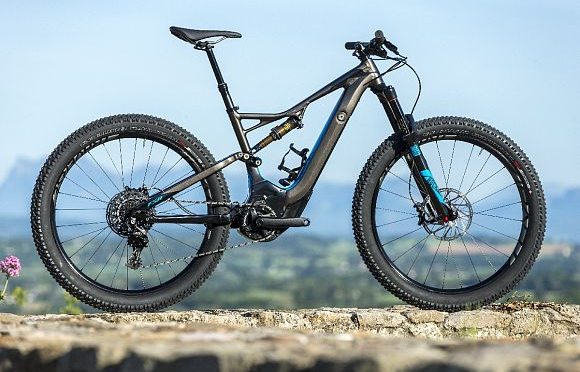 Most close encounters with mountain bikes leave all parties unharmed – most, but not all. “We have seen conflicts,” reports Kevin Regan of the Department of Recreation and Parks. There have been “close calls and accidents.” A Los Angeles City Ordinance prohibits bicycles on unpaved trails in all City parks. This ordinance was reaffirmed unanimously by the City Council in 2000. Moreover, this April, the Angeles Chapter passed a resolution supporting efforts to uphold the existing ordinance. The backstory has been documented by Sierra Club hike leader, AI Moggia. 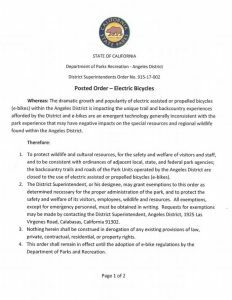 1995 saw the Concerned Off Road Bicycle Association (CORBA) requesting access to dirt trails in city parks from the Department of Recreation and Parks (DRAP), whereupon a Mountain Bike Task Force was formed including CORBA, DRAP, the L.A. Department of Transportation (LADOT and the L.A. Bicycle Advisory Committee (BAC). The L.A. City Planning Department spooned up this alphabet soup and other entities to formulate a Bicycle Plan Element. 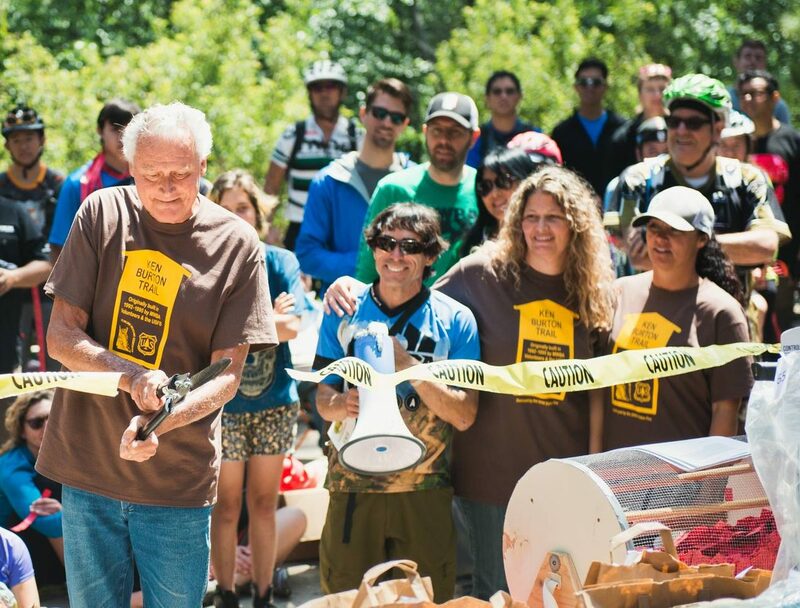 In 1996, the DRAP Commission denied requests for a mountain bike event in Griffith Park, citing the municipal ordinance and an opinion by the City Attorney. Also in 1996, the City Council adopted the Bicycle Master Plan as part of the Transportation Plan Element of the General Plan of L.A. City. DRAP, CORBA, DOT and BAC studied the feasibility of opening City parks to mountain biking. In 1998, LADOT City Bicycle Coordinator Michelle Mowery and BAC member Alex Baum made a special presentation to DRAP. There was minimal public notice of three community meetings in 1999, but over 400 residents attended. 95 percent of the attendees expressed their opposition to biking on city parks’ dirt trails. Despite the apparent dearth of public support, Elysian Park was selected in January 2000 for a mountain bike pilot program. Word of mouth and work by the Citizens’ Committee to Save Elysian Park brought out more members of the public to a meeting at Grace Simons Lodge, where they opposed the mountain bike pilot program. A subsequent meeting brought out more community members, a vast majority of whom opposed the program. 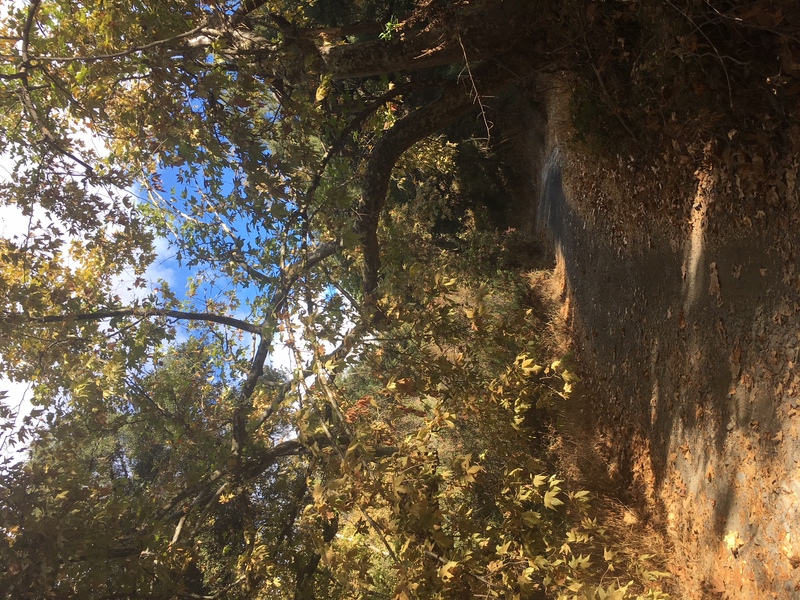 Elysian Park was spared, and the City Council passed the motion rejecting changes to the ordinance prohibiting mechanized use of City park trails. Mountain bike advocates tightened the straps on their helmets and soldiered on. Perhaps feeling jilted by Recreation and Parks, they decided to hop onto the handlebars of the Department of Transportation. But is this not an issue of recreation rather than transportation? The DOT’s Bicycle Master Plan is about cycling in the City. The focus is presumably on the transportation aspects of the bicycle plan, not on the thrills of jouncing down a narrow dirt trail, dodging (one hopes) hikers, runners and equestrians. A September, 2008, memo by Jordann Turner, Bike Plan Project Manager, wondered “why and how the meetings in the past between cyclists/equestrians/etc. have been contentious.” Might it have been those accounts of clobbered hikers, frightened horses and thrown riders? To avoid this sort of testimony, DOT decided to use a consultant who has experience with this subject matter to conduct small mediated working-group meetings. Attendance at these meetings was by invitation only, with no notice to the public. The Los Angeles Bike Plan Stakeholder Advisory Group consists of nine invited participants – three hikers, three mountain bikers and three equestrians. Where are the runners? Where are the dog-walkers? Where are the homeowners associations’ representatives? They were not invited to the table. For more on this issue, including video clips of outrageous claims during testimony, visit our LA City Parks web page. Club policy on mountain bikes opposes their use in officially designated wilderness areas unless determined to be appropriate by analysis, review and implementation. The Park City Agreement (1994) between the Sierra Club and the International Mountain Bicycling Association called for site-specific analyses and stated that not all non-wilderness trails should be opened to bicycle use. Of concern are the effects of off-road biking on soil erosion, the impacts on plants and animals, and the displacement of other trail users. When considering the introduction of off-pavement bikes to a park, Sierra Club guidelines mandate consideration of these issues: whether the safety and enjoyment of all users can be protected, and whether there has been a public review and comment procedure for all interested parties. In this case, the response is no. A late 2008 DRAP Citywide Parks Needs Assessment demonstrated virtually no demand for mountain biking [Webmaster’s note: See the inset at right to evaluate the accuracy of this claim]; yet, a small advocacy group seems to be trying to sneak its agenda past an unsuspecting public. Most of us have not been invited to join the discussion, but we can make our voices heard. Send letters and e-mails to LADOT, to DRAP and to your city councilmember. Revenge was not sweet for a man who allegedly admitted digging holes on bike trails in a Fullerton park as payback for nearly being run down by a mountain biker. He has been charged with felony vandalism, police said Friday. 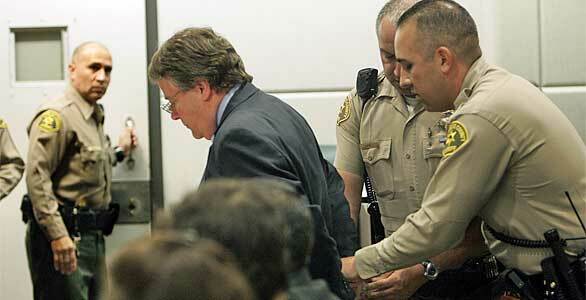 Warren John Wilson, 52, faces a single felony count of vandalism, said Fullerton police Sgt. Linda King. Wilson, who could not be reached for comment, remains free on his own recognizance pending a court date that has not yet been set, according to King. Holes began appearing in mid-June on a trail popular with mountain bike riders that runs parallel to the city’s Bud Turner Trail at Laguna Lake Park at Euclid Street and Laguna Road. About 50 of the holes have been found since June, all dug across the path so that they would pose an obstacle to bicyclists. The holes measured about 1 foot by 2 feet, King said. Tree branches and brush were often placed along the trail, as well as across the trenches in what seemed an attempt to hide them, King said. Some riders reported that they were thrown over the handlebars after hitting the holes, but no major injuries have been reported, she said. A park ranger reported the holes to police, who periodically did surveillance in the area. Detectives checked the trail after a man walking a dog was spotted, and vandalism was found, King said. On Dec. 11, the same man with his dog was seen entering the trail and leaving it 15 minutes later, and a later check showed holes covered with a large piece of concrete and a branch, King said. When questioned by police, Wilson allegedly said that he had “almost been run over” by a bike rider once and, in retaliation, began digging the holes and placing obstacles on the trail, King said.